Silent Hill Requiem Teaser One is out! Hello I made a post! 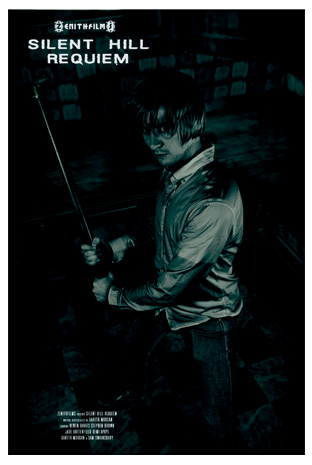 Silent Hill Requiem is a feature film that was made possible via an Indiegogo crowd funding pitch. The pitch raised $5k, the highest budget I have ever had to work with. The plot to Silent Hill Requiem is that in the present day the Otherworld has broken free from its boundaries and is now infecting the entire world. So an unknown force has brought back those that have faced Silent Hill before to try and stop it. 2. Who is the writer, director, editor and actors; anyone famous? Silent Hill Requiem is written, directed and edited by me, Gareth Morgan. I have been making films professionally for the past 6 years, but I started making films back when I was a teenager with my brother and his friends. I have been working in the creative arts all my life, I started out as a cartoon artist and from that moved to writing, acting (performing mainly on stage) and dancing (where I ran a Dance Company with a very good friend of mine) After that I spent a few years travelling around SE Asia and wrote my first novel, Constellation Gemini, a sci fi fantasy book about the last days of Atlantis, which I will be self publishing soon. Upon returning to the UK I decided it was time to get a degree and ended up with a First Class Honours degree in Film. And that led to me starting up Zenithfilms with no financial backing, just me, big dreams and a group of very talented actors and dancers that believed in me and my work. Most of these wonderful people you will see in Silent Hill Requiem. I first met Olwen when I was studying at University, but it was a passing meeting. It wasn’t until we had graduated that I got properly introduced to her and instantly knew she was an actress I needed on my team. Olwen spends a great deal of her time performing live in her own devised pieces and collaborating with others. Thus far she has been in nearly every film I have made since setting up Zenithfilms, whether that be a main role or a cameo and I have come to refer to her as the Face of Zenithfilms. Jade has been working with me now for the past two years and I met her through a student I used to teach. She spends most of her time breaking hearts as a model for a variety of different studios but now also works tirelessly in whatever project I throw her way. Demi has also been working with me for the past two years as I met her the same time I met Jade. She also spends majority of her time breaking hearts as a model but also relishes any project I pass onto her, the darker the role the more fun she has with it. 3. What characters and monsters are in Silent Hill Requiem? As a creative writer I have always been drawn to strong female characters and this is the general rule for any film I have made. The lead in SH Requiem is Heather and she is joined by James, Henry, Maria and Cynthia. There are many more characters in the film but I am holding off on announcing who they are, I don’t want to spoil the surprise, and the same goes for what monsters will feature in the film. 4. What game/s is Silent Hill Requiem based on? Silent Hill Requiem takes its influences from the original 4 games made by Team Silent as I feel that these games capture what Silent Hill is all about. I am not however saying that I am ignoring the other games in the franchise. You will see references to nearly every game within Silent Hill Requiem, even nods to the cancelled Silent Hills. But in terms of an overall influence, Silent Hill 2 takes that honour. Silent Hill 2 is my favourite game within the entire franchise, not just because of the story, atmosphere and characters but because it is one of two games that has the town itself as the antagonist. 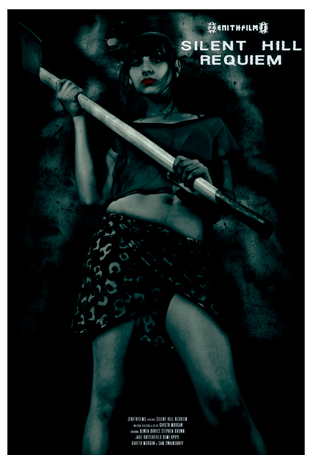 So style, aesthetic and pace will all be leaning towards SH2 for this film. 5. Will you be using the music from Akira Yamaoka? The film will be out in 2017. I can’t give an exact release date because the editing process is an unpredictable element, just as the filming process was. You have to remember a Hollywood movie takes between One and half to Two years before completion, and those productions have teams of people working around the clock on different aspects. This film is all me, I have no post production team, all the editing, CGi, background assets, sound engineering, it’s all up to me and I only started this project in Feb of 2014. The entire film was shot in just over 3 weeks, most days were around 10 hrs long, and the longest day was 14. I am spending roughly 8-10 hrs a day editing, 5-6 days a week (I have to have at least one day off to keep a clear head) and some days I can get through a variety of different shots and other days I will be there for 10 hrs straight just working on one. Today for example, I have been working on one shot since 6am this morning, it’s now 6pm and while it preview renders for the 15th time today (anyone who knows After Effects will understand that) I am taking the time to write this blog. Literately my entire life since February 2014 has been Silent Hill Requiem, and I will not stop until it is finished. The full feature length version of Silent Hill Requiem (2hrs) will not be available on my Youtube channel. There will be a Special Preview of the opening 13 minutes as a taster. If you are still interested in seeing the rest of the film after its opening 13 minutes, there are two ways to see the full Silent Hill Requiem film. Silent Hill Lazarus will be a 12 part web series (I’m hopeful to make many more episodes than that, but it’s a starting point) that follows on 16 years after Silent Hill Requiem. The over arcing plot follows Jessica, a British psychology student, who has been brought to Silent Hill under false pretences and soon discovers she is connected to the town. Silent Hill Lazarus takes its initial inspiration from the cancelled Silent Hill game Cold Heart in terms of character and setting, and will take influence from such shows like Haven, Fringe, Twin Peaks and The Twilight Zone. The show will also bring in other well known Silent Hill characters as well as creating new ones unique to the show. 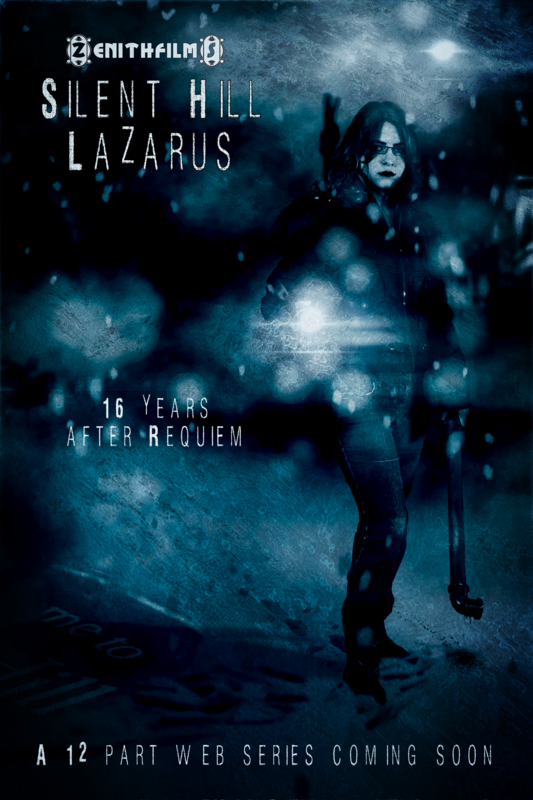 The Crowdfunder for Silent Hill Lazarus will begin upon the completion of Silent Hill Requiem, so sometime soon. 8. 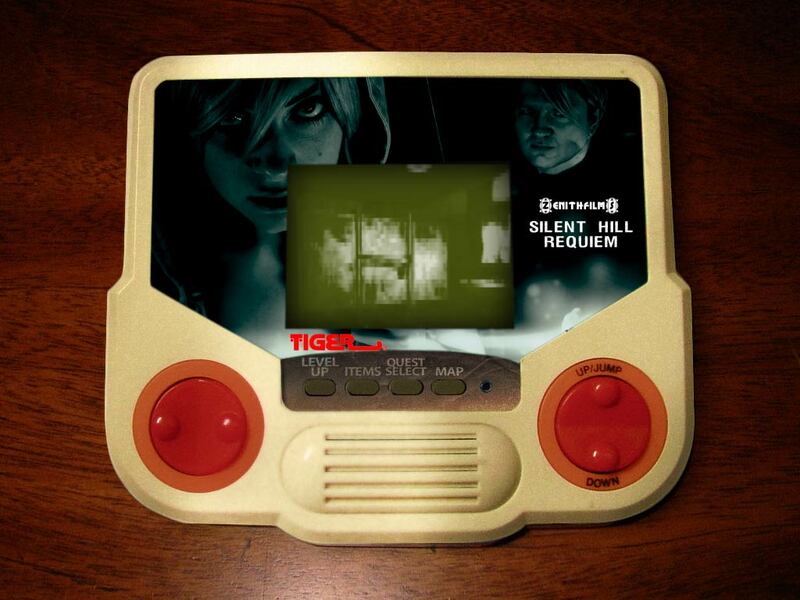 What languages will Silent Hill Requiem be in? Will there be subtitles? 9. Is this a game or a film? Well that wraps up another blog post, I don’t do these very often, too busy making the films to spend time blogging about them, but I would like to thank you all for your continued love and support of me and my work. Already a better Silent Hill movie than BOTH theatrical films.